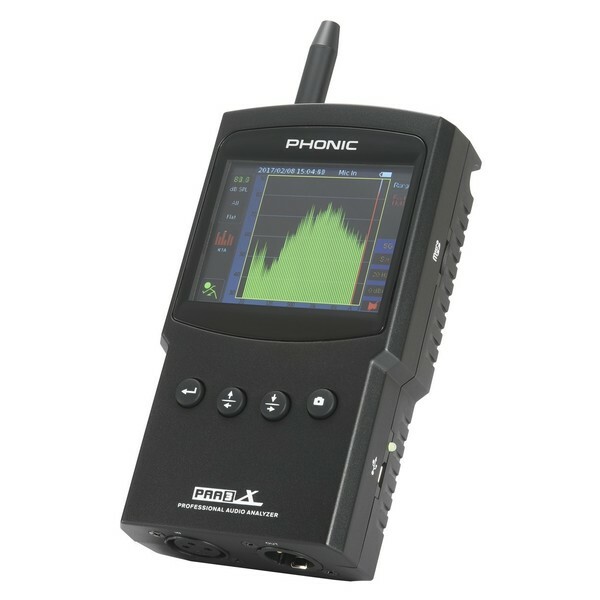 The Phonic PAA3X Audio Analyzer is the perfect handheld analyzer for any professional sound engineer. The PAA3X features four main functions; a 31-band and 61-band real time spectrum analyzer, a level meter, RT60 reverb measurement and a phase checking. Additionally, the Phonic PAA3X is equipped with an internal signal generator, an EQ setting program, a screen capture function and microphone calibration. The built-in microphone ensures accurate audio measurements, while the included 5 metre cable allows you to place the microphone remotely. 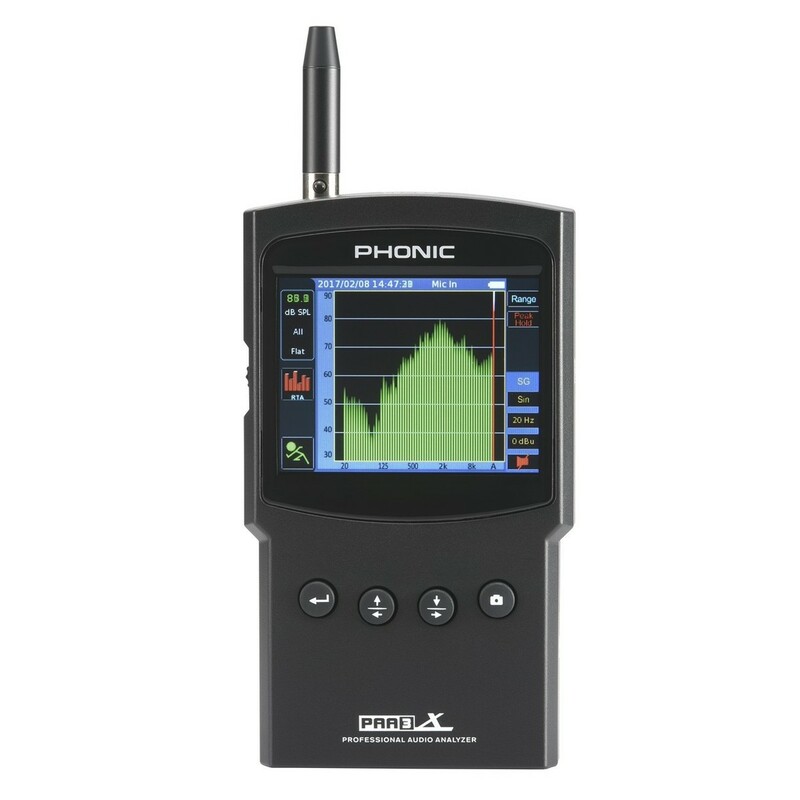 Powered via an integrated rechargeable battery, the Phonic PAA3X Analyzer is a comprehensive multi-function tool for any live performance environment.